We need the unicorn one! (SPOT.ph) Here at SPOT.ph, we love discovering fun finds. 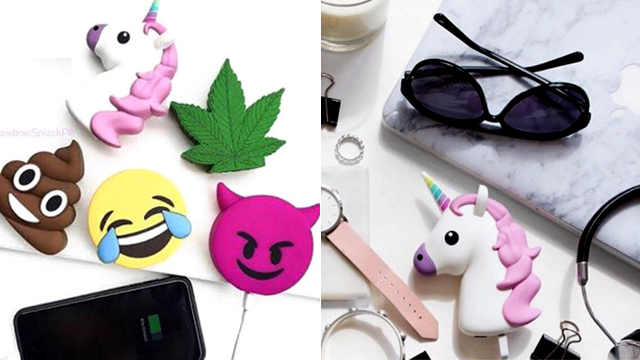 We stumbled upon Rainbow Splash's Instagram page and saw their super quirky power bank collection and fell in love in an instant! Rainbow Splash is a homegrown brand that's popular for their pool floats, but they also carry novelty items. Because you're almost always on your phone on the daily, it's important to keep it juiced up throughout the day—and what better way to do it than with quirky power banks? Our favorite is the unicorn one, but they also have a poop emoji-themed one that we can't get enough of! The power banks are available online. For more information, log on to Rainbow Splash's Instagram page.